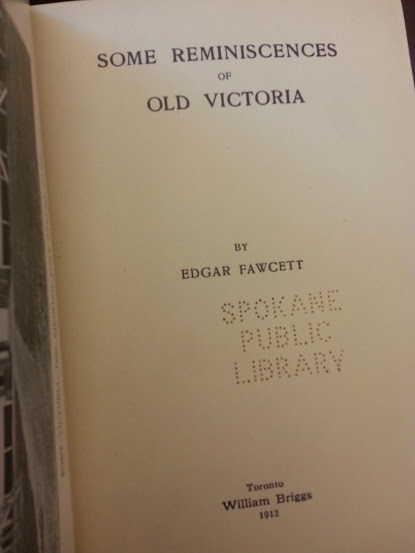 Some Reminiscences of Old Victoria, by Edgar Fawcett. Toronto: William Briggs. 1912. A nicely told personal memoir by Fawcett (1847-1923, immigrated to Victoria 1859). I read his words as accurately detailed, and they contain details of Jargon use that we don’t have from other sources. 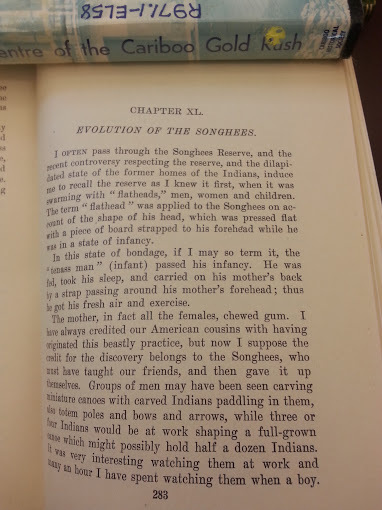 Native infants are referred to as “tenass man”. 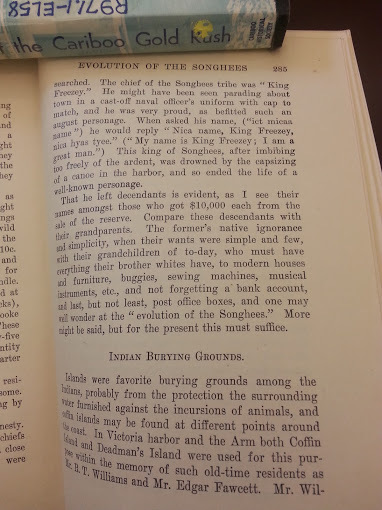 In the context of these Chinook Wawa memories, it may be significant that the Songhees children are referred to as “papooses”, a word I’ve seen in actual Jargon use by Aboriginals in the Interior. 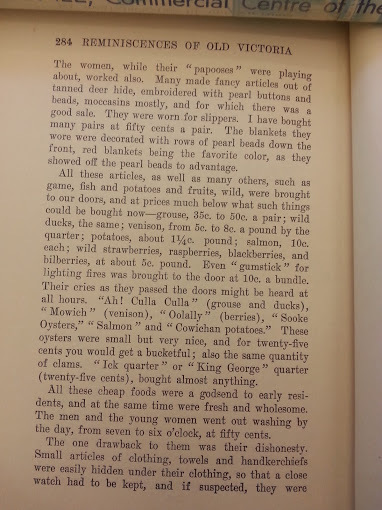 Also recalled are items sold to whites by the Native population: “gumstick” [pitchwood kindling] is one, and that’s interesting for its use of the English loan “gum” rather than the often recorded Jargon “lagom”. Native vendors are remembered as crying their wares this way: “Ah! Culla Culla” (grouse and ducks), “Mowich” (venison), “Oolally” (berries), and three phrases you might take as English but are Jargon: “Sooke Oysters”, “Salmon”, “Cowichan potatoes”. Nearly anything, it is said, could be bought [from the Aboriginal merchants] for “Ick quarter” or a phrase new to me, “King George quarter” (twenty-five cents). 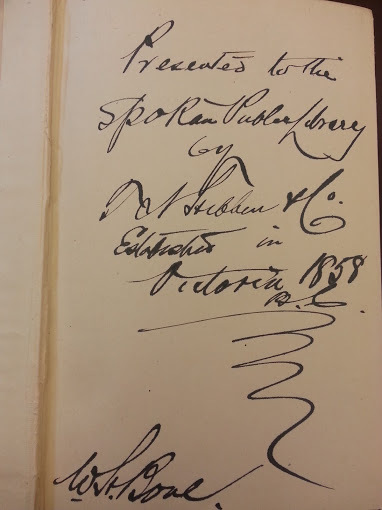 The copy of this book that I read bears an inscription from T.N. Hiben & Co. publishers to the Spokane Public Library.